Clavo Cellars is a boutique winery located in beautiful downtown Templeton, CA. Specializing in terroir-driven, single varietal wines such as, Malbec, Albarino, Petite Sirah, Vermentino and Zinfandel. Stop by the tasting room to try some of the region’s best wines! Neil is committed to “growing quality the right way”, which includes emphasis on sustainable vineyard practices that nurture both the vines and the surrounding environment. Similarly, he uses a gentle hand in the cellar, enabling the natural qualities of the fruit to shine in the finished wine. His winemaking approach includes careful hand sorting of clusters prior to fermentation; sacrificing quantity for quality through light pressing of the grapes; using judicious amounts of new oak barrels to ensure balance as well as structure. “I put a tremendous amount of thought and care into making these wines,” Neil says. “But once the cork is pulled, it all comes down to the simple pleasure of experiencing everything that a remarkable vineyard has to offer. 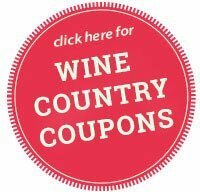 Albariño, Grenache Blanc, Late Harvest Zinfandel, Malbec, Petite Sirah, Pinot Noir, Red Blend, Rosé, Sparkling Wine, Syrah, Vermentino, Viognier, Zinfandel.